How much time do you spend on social media during a typical day? 30 minutes? 1 hour? More? As I write this, I’m thinking to myself, what a LAME excuse! As a Christian, the most important thing in our life should be the relationship we have with Jesus Christ who died on the cross for our sins, rose from the grave after 3 days, and ascended into heaven. He made the ultimate sacrifice on my behalf and I begrudgingly read my Bible a few times a week... maybe. One thing that has been a massive time sink for me is social media. Particularly YouTube and Reddit. For others it might be Facebook, Instagram, Twitter, Pinterest, etc. I love to watch content on YouTube and a lot of times it is religious or Christian related content but watching someone else talk about current events or theological topics is no replacement for me spending time reading the Bible for myself. The Bible is useful for “teaching”, “training”, and equipping “for every good work” but I treat it like the cherry on top of an ice cream cone when it should be the cone. The foundation of my faith. 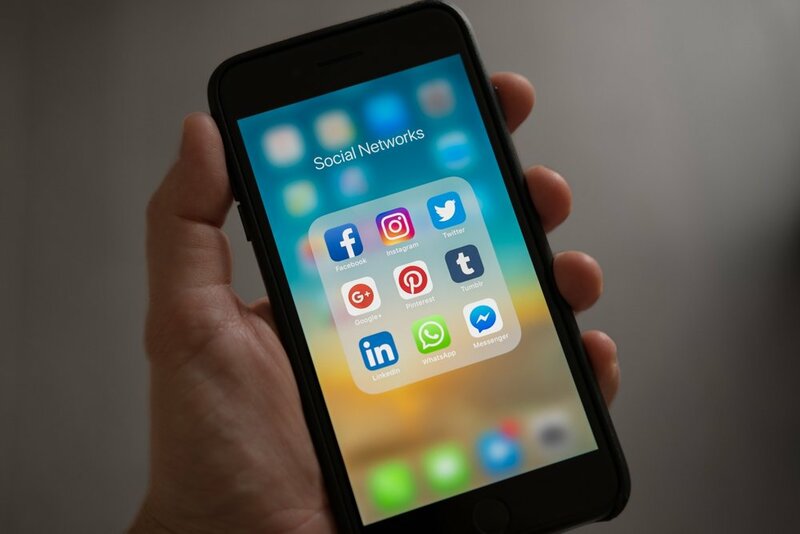 If you are like me and feel like you could do with less time spent on social media, here are a few tips that have helped me in this endeavor and make the time I do spend on social media more meaningful. I do not follow these perfectly and still need work on making more time for scripture reading and prayer, but we all need to start somewhere. Our smartphones are always with us which means the internet and social media is always with us. Uninstalling the social media apps on your phone will drastically reduce how much time you spend on social media. Not having the apps means you don’t see the icons on your phone, and you don’t get notifications. It also makes accessing that content slightly more difficult because now you must go to the website on a web browser which isn’t as good of an experience on a phone. What would it look like if instead of looking at our phones as soon as we wake up to check email, social media, and the news, we instead opened our Bible and prayed? We don’t need to be constantly updated about who liked or commented on our posts. That information will still be there in an hour or two. Less distractions means more productivity, quality work and time to spend on what is important. Action Step: Choose one social media app that is a time sink and uninstall it for one week. See how you feel and if it is something you want to continue. Putting objectives for the day into our schedule can help us be more organized and get more things done that matter to us. I know this truth and yet, I am dreadful at scheduling and planning. Where your time is spent shows what is important to you, and if you or I spend more time on social media than we do in the Word, what does that say about our priorities? Scheduling time to use social media says that you are in control of it instead of the other way around. Action Step: Schedule a time for God and Scripture before you browse any social media sites. See how your outlook on the day changes. One of the best things I did on Facebook is go through my friend list and page likes. I deleted friends who I know but don’t talk to or see in any meaningful way. I also went through all the page links and deleted, in true Marie Kondo fashion, anything that didn’t spark joy. Just doing these two things significantly reduced the amount content in my Facebook feed leaving only the content from friends and pages that I care about. Make interactions on social media meaningful with people that you know and are investing in outside of the internet. Use social media as a platform to spread the good news of the Gospel. Action Step: Go through your choice of social media and delete 10 friends/follows/or likes. If you’re on a roll, keep going! How does social media affect your relationship with Jesus? Which one has priority in your life? If you have any other tips let me know in the comments and together, we can work to make much of Christ and less of social media! Tyler began attending Orchard Hill regularly in late 2015 and joined the staff in May of 2017 to oversee the implementation of CCB throughout the church, manage the website/app, and assist with marketing related functions. He graduated with a B.S. in Marketing Management from Grove City College where he served with InterVarsity as a small group leader and as vice president of the chapter for two years. Tyler lives with his wife Katie in Zelienople, PA.